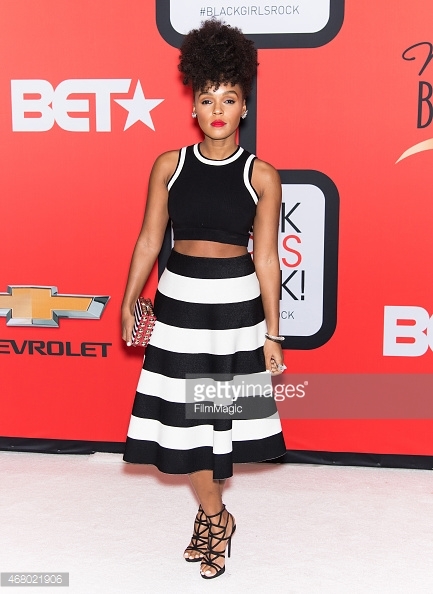 Janelle Monae has always kept an intentionally monotone wardrobe but recently we have been noticing little changes – a little bit of color, a little bit more skin but all still very fierce. 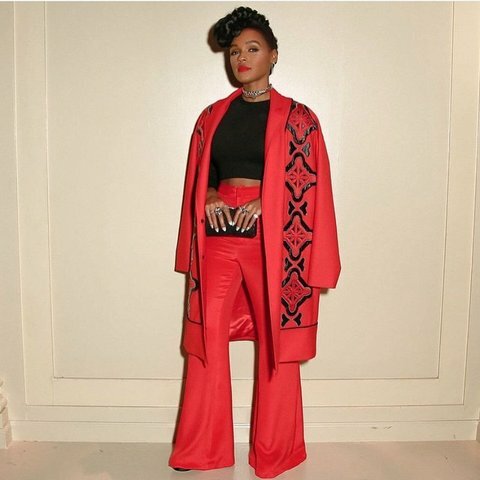 “It’s a dedication to uniformity and I’m a minimalist by heart, but a lot of it had to do with me wanting to have a uniform like the working class, like my mom and my grandmother,” Monáe told The Huffington Post. Well it looks like red got in the mix and it’s making every look even more dramatic. 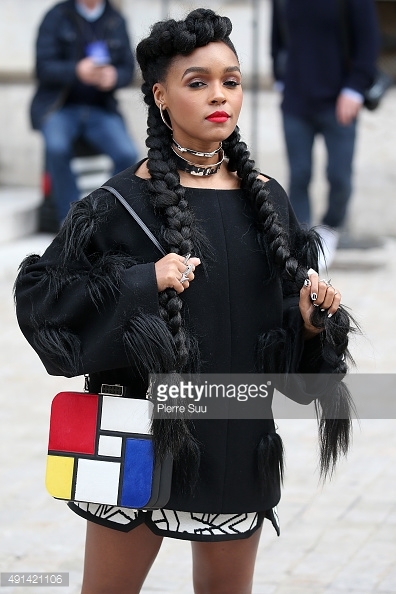 We love how simple her color palette is yet how loud and eclectic her style is.